Office Furniture Warehouse has the perfect furniture for any office, work space, or gathering place. Take a look at our discount office furniture and Compel office furniture. Use our office layout planner tool to figure out the ideal combination of furniture for your space. Visit our office furniture store in Kenosha or our office furniture store in Pewaukee and find the lowest prices on high quality office furniture suitable for any business, nonprofit, doctors office, library, educational institution and much more. Office Furniture Warehouse is the home of confusing price tags. Customers are always asking us if the number they’re seeing is accurate, or want to know what the catch is. No catch, just great finds, office furniture rentals and even financing options! If you can’t find what you need here, we’ll find it for you within a week. We’re always updating our inventory, buying closeout, clearance, and decommissioned office chairs and furniture. Let us know what’s on your office furniture wish list and we’ll call you when we find it! Our delivery and installation services save you time! We provide quality, affordable furniture throughout Wisconsin and the Midwest, including Kenosha, Pewaukee, Milwaukee, Waukesha, Menomonee Falls, New Berlin, Brookfield, Waukegan, Racine, Wauwatosa, West Allis, West Bend, Oak Creek, Crystal Lake, Rockford, Northbrook and Mukwonago. Wherever your home or office is located, you can find the perfect furniture for your needs at Office Furniture Warehouse. Contact our Wisconsin office furniture warehouse for desks, chairs, and other furnishings to meet your needs and suit your work environment. We supply schools with new and used furniture they need at budget-friendly prices. Give your school’s reception area an affordable makeover with a used but like-new reception desk, task chair, and waiting room seating. Save money on desks for administrative offices, available in a range of customizable styles. Both classrooms and offices in your school will benefit from quality bookcases and storage cabinets, and used filing cabinets with deeply discounted prices. At Office Furniture Warehouse you’ll find padded and stacking chairs perfect for orchestra or band rooms, parent teacher conferences, staff meetings, or teacher’s lounge. Outfit your school’s library and study hall with solid, spacious conference tables for less than you’d pay anywhere else. Does your school need a type of new or used office furniture you’re having trouble finding? Just let us know what you’re looking for and we’ll be happy to do the searching for you! 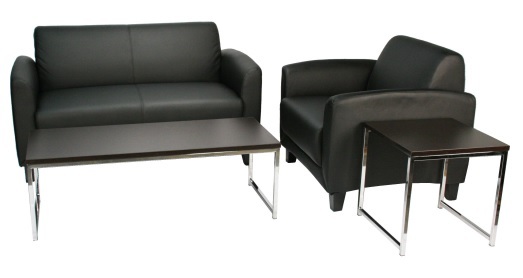 Equip your break room with plenty of comfortable seating from Office Furniture Warehouse. We have new and used stacking chairs with prices so low, you can “stack up” on extras! If your break room is bare bones, add a storage cabinet or book case for use as a pantry, or to keep dishes and reading material. For employee lunchrooms with high counters, we offer barstools or counter height chairs for elevated seating options. Our inventory of new and used office furniture changes daily, so be sure to ask us if you don’t see what you’re looking for! We may even have some wall art perfect for brightening up bare office kitchen walls! Give your next training session or seminar a professional edge with modern, high quality office furniture for your employees, guests or students. Office furniture warehouse has conference tables in a range of sizes and finishes, for a fraction of what you’d pay elsewhere. Keep your presentation flexible by making sure you always have plenty of seating. We carry an impressive selection of plastic or padded stacking chairs at unbelievably low prices, in a variety of colors, and with or without arms. Complete your setup with a rolling presentation board ready to help you share your ideas while saving money! Office Furniture Warehouse offers deeply discounted prices on new and used office desks and other furniture suitable for Veterans Affairs offices, clinic reception and waiting rooms, regional benefits or loan center offices, and Vet Centers. Our comfortable, affordable desks, chairs, and office storage solutions will enhance productivity and aesthetic appeal in any healthcare or administrative setting. We can also supply modern tables and lounge seating for lobbies, and a wide array of seating options for conference, classroom, or counseling settings. At Office Furniture Warehouse, we respect and value the contribution and sacrifice our nations veterans have made. We’re proud to be a trusted supplier of high quality, affordable new and used office furniture solutions for those who now serve the men and women who have served our country with honor. Small workspaces allow companies to cut down on unnecessary overhead costs. Office Furniture Warehouse carries a comprehensive selection of modern office furniture designed to maximize efficiency in a small space. Whether you want the most from your startup work space or you’re just looking to optimize a satellite office, OFW has you covered. Satellite offices, small businesses, and startups often save money by keeping their workspace small. OFW services include office design and furniture installation to fully optimize your jobsite setup. For example, small reception desks and lobby chairs keep entrance areas open and allow room for traffic flow. Cubicles can increase the amount of workstations your company has. Ask our experts how to maximize your limited workspace. If you need small L, U, or standard shaped desks, cubicles, cabinets for storage, conference room tables and chairs, or executive office furniture, you’ve come to the right place to get the best deal. Our used furniture collection often includes like-new pieces which were never unboxed. Chairs and desks are available anywhere from 50% to 80% off! Choose your furniture online for greater savings and free delivery in the lower 48. Contact us for more office furniture solutions for small spaces. Buy furniture for your small office space today by ordering online. First impressions matter in business – that’s why Office Furniture Warehouse carries modern, professional lobby chairs and furniture for your office. Keep your lobby in style and make a great first impression on every client, customer, or visitor who comes through the door. Create an inviting atmosphere in your hospital, church, or medical office lobby with welcoming lobby furniture. Yet furnishing your business’s lobby can be expensive. Why should you pay for expensive chairs which will only be used by visitors for a fraction of the day? Save money on office lobby furniture with used chairs and desks from OFW. From comfortable (yet cheap) chairs to lounge seating and couches, we have all the furniture your lobby needs. OFW used lobby furniture is always in excellent condition. Many of our used furniture pieces have never been used or even unboxed. By buying used furniture from OFW, you get savings anywhere from 50%-80% market value. Buying discounted office furniture has never been easier or more affordable. Office Furniture Warehouse has online ordering of clearance-priced furniture. Our inventory is always changing, so be sure to check back for the latest deals. Free delivery is available for furniture orders placed in the continental USA. Or arrange a visit to one of our Midwest furniture showrooms to see all our lobby furniture. Order lobby furniture online from OFW today. Office Furniture Warehouse does more than furnish businesses. If you’re looking for a professional desk or a comfortable chair for your home or home office, you’ll find it here at discount prices. Keep your conference room stately and modern with help from Office Furniture Warehouse. We have a selection of high quality modern and executive conference tables and chairs designed to create a professional environment. Shop our conference and meeting accessories for whiteboards and presentation boards, as well. Choose your CEO office furniture for comfort, style, and function. With OFW, you’ll get quality, modern executive office furniture for far less than the big box stores, whether you decide to buy new or used. Office Furniture Warehouse carries a selection of executive options. Our elegant wooden desks and leather chairs for CEOs and Executives are versatile and dynamic. Choose from our standard and customizable office desks with cabinets, hutches, and more. With over 100 styles and designs to choose from, you’re sure to find the perfect combination of furniture. Office Furniture Warehouse carries modern arm chairs and couches to keep your patients comfortable while they wait. We also carry a selection of doctor’s office furniture, including chairs and desks, at discount prices to keep you on task and under budget. Choose comfortable dental office waiting room chairs and other lobby furniture to keep patients comfortable while they await their appointments. Keep your dentist office lobby comfortable and stylish with affordable high quality waiting room guest chairs from Office Furniture Warehouse. 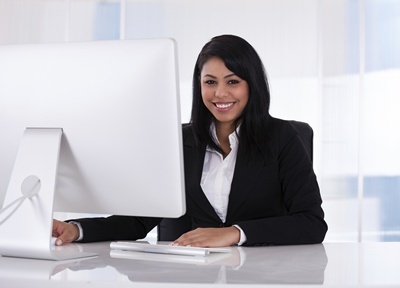 Our reception desks and chairs keep your dental office running efficiently. See our selection of lounge chairs and sofas for medical office furniture to keep patients comfortable in the lobby or waiting room. No matter how big your medical office is, we can furnish it. Office Furniture Warehouse carries a selection of modern, stylish chairs and couches to make your lobby welcoming, as well as desks and chairs to keep your reception staff comfortable and efficient. Office Furniture Warehouse carries stately, chic executive chairs and desks for business directors. Direct your company in comfort and style – all while staying under budget. Office Furniture Warehouse carries modern, high quality furniture with ample work space for engineers. Keep your office comfortable and efficient with better quality desks and chairs at a discount price. Office Furniture Warehouse carries chic, modern, high quality furniture for graphic designers at discount prices. Find the perfect furniture to keep your office up-to-date and stylish. 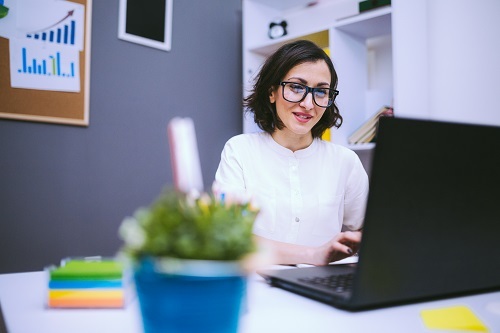 Find high quality office furniture to keep your IT company efficient and connected. Office Furniture Warehouse carries a comprehensive selection of desks, cubicles, multiple computer work stations, height adjustable tables, and more designed to keep your office comfortable and effective. Office Furniture Warehouse carries professional, high quality office furniture at discount prices for attorneys and law offices. Keep your entire firm elegant and modern with chairs, desks, file cabinets, conference tables, and more. Office Furniture Warehouse carries high quality, efficient, affordable office equipment for military offices. Whether you’re in a military recruiting office or you’re looking to furnish an entire base, we can help. Nonprofit organizations, as the name suggests, do not have the revenue of for-profit institutions to pay for new office furniture. Find attractive modern furniture at a low price at Office Furniture Warehouse. We carry a vast selection of new and used office furniture designed to keep your office up-to-date and under budget. A non-business entity still needs a professional office to work in for conferences with donors and business partners. Low operating costs means your NPO can do more good in the world. OFW has like-new used furniture pieces at a fraction of the cost. Shop for high-quality yet clearance-priced chairs, desks, and cubicles to fill your office. Buy furniture online for your nonprofit for even more great savings. We are always updating our inventory of discount furniture. On top of our low new and used furniture prices, we offer free furniture delivery in the continental United States. Contact OFW to order affordable office furniture online. Office Furniture Warehouse carries high quality adjustable desks and chairs. Easily adjust your desk to a comfortable height for employees in wheelchairs. Ergonomic chairs with extra back and neck support ensure all of your employees can stay efficient and comfortable. Over the years Office Furniture Warehouse has furnished government offices in Madison, WI, and elsewhere. Keep your offices official and modern with high quality used government office furniture. Keep your entire hospital lobby comfortable and stylish with affordable high quality furnishings from Office Furniture Warehouse. Whether you need to furnish your nurse’s stations or your waiting rooms, we’ll make sure you find the perfect desks, chairs, and file cabinets. Buy new or used hospital lobby furniture at cheap, discount prices from Office Furniture Warehouse. Office Furniture Warehouse carries a selection of high quality affordable furnishings to keep your church office up-to-date and comfortable. You’ll find quality new and used desks and office chairs, as well as church lobby furniture, at cheap, discount prices at OFW. If your church wants to use chairs instead of pews or you are temporarily holding services outside or in another room, check out our variety of cushioned seating options to keep your congregation comfortable. No matter how you worship, or where, we can find an affordable furnishing solution. Whether you’re getting new desk chairs for the reception staff or new desks and chairs for public computers, Office Furniture Warehouse offers affordable, high quality furnishing solutions. Keep your library modern and inviting on a budget. Work stations for more than one person are perfect for schools, libraries, or offices looking to maximize connectivity and space. Office Furniture Warehouse carries a selection of high quality, affordable new and used office work stations for sale, including modern pod work stations. L-shaped desks help maximize space and offer a dynamic workspace. Office Furniture Warehouse carries a selection of high quality, chic, affordable L-shaped desks – meaning you can stay up-to-date and under budget. U-shaped desks are perfect executive furnishing solutions. Versatile, professional, and space saving, U-shaped desks can make any office a corner office. Office Furniture Warehouse offers a diverse selection of high quality, professional U-shaped desks at discount prices. Office Furniture Warehouse carries a wide selection of cubicles and partitions to keep your work environment efficient and organized. Find the perfect office equipment to keep your business professional at discount prices. Sitting for eight hours a day can be a strain on your back and can damage your posture. Office Furniture Warehouse carries a selection of posture improving chairs at discount prices. Keep your employees comfortable while staying on budget. Find your perfect posture office chair among our selection of cheap, discount ergonomic seating options. Office Furniture Warehouse carries a selection of affordable, stylish chairs that offer superior lumbar support. Stay healthy and on budget with our new and used lumbar support chairs.